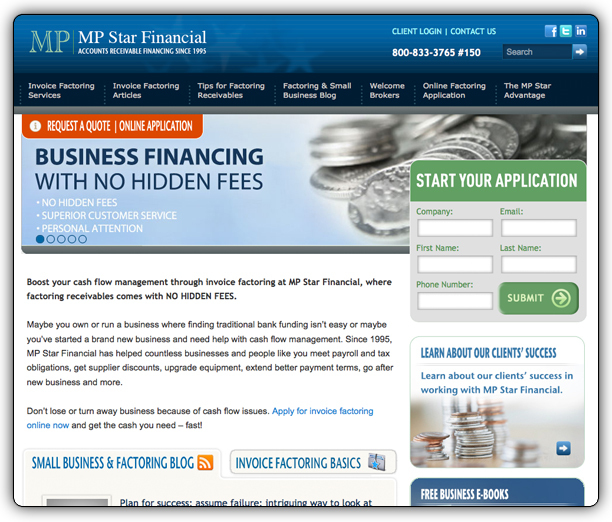 MP Star Financial is an organization that provides cash flow management for its clients in a regional area of Ohio. 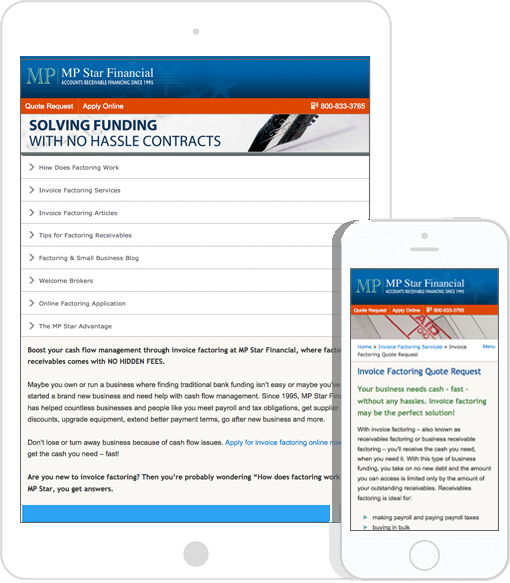 Because of its regional target audience, search engine optimization (SEO), is a crucial element of creating the return on investment for MP Star Financial. IONA worked with a SEO consultant to help in creating the solution that MP Star needed. This was achieved with the following goals in mind based on the digital strategy. 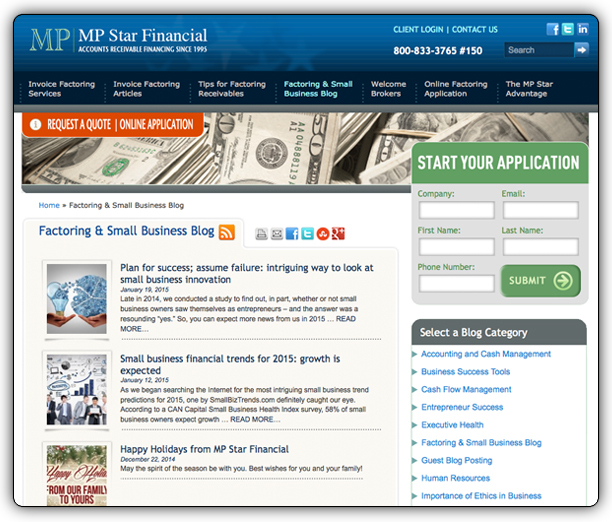 IONA created MPStarFinancial.com by integrating astute online branding and digital design, a robust asset management system, and a leading edge custom content management system. Mobility is everything for an audience of potential customers that are introduced to MP Star Financial through online search. A unique digital experience that exudes the MP Star Financial digital brand is created through the intrinsic details in photography, messaging, and content that intertwine and leave a user with the resounding uniqueness and clear understanding the MPStar brand. Through a collaborative effort with our SEO partner, the MP Star website is content, page, and infrastructure optimized. Using an easy to use content management system has offered MP Star administrators the ability to easily update content and create the real time content management necessary to become a SEO premier site.